The elegance and the colors of this bouquet makes it unique in its kind, white and pink in a perfect mix that will be change a normal day ... making it a very special day! What are you waitingfor? 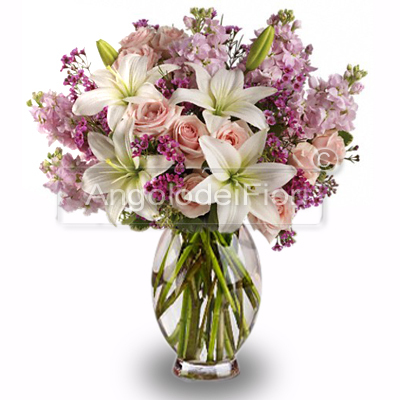 More about this bouquet: This elegant bouquet includes lilies and other flowers in shades of white and intense pink.